If you are like me – then you LOVE a good party! Whether it is for a birthday, to celebrate an anniversary, around the holidays, ringing in the New Year, on the 4th of July, at the pool, or just with friends in your backyard – no matter the occasion (or how fancy), everyone loves a fun event! 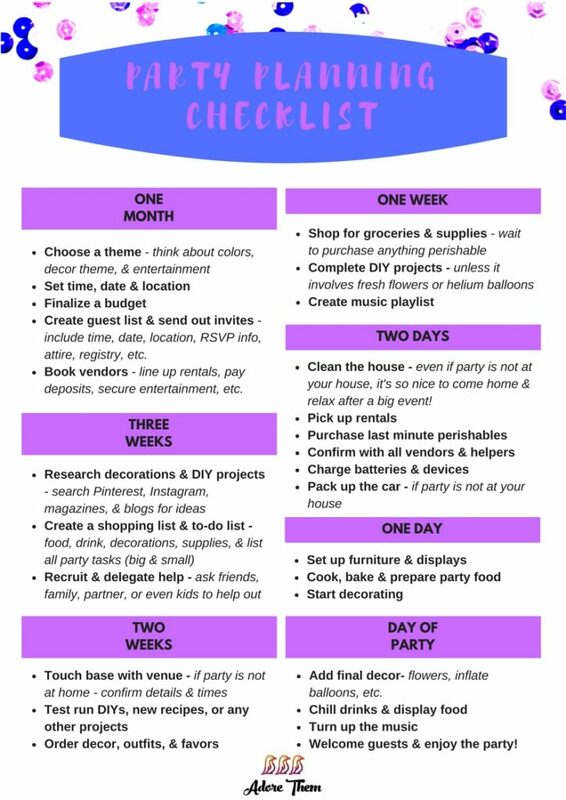 Below is a party planning printable to help you stay organized. 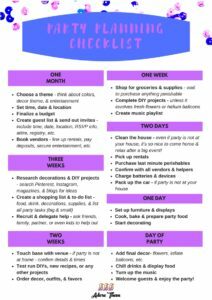 Print it out, keep it in the front of a folder or binder, and file behind it everything you need to keep track of in order to plan your fun extravaganza!